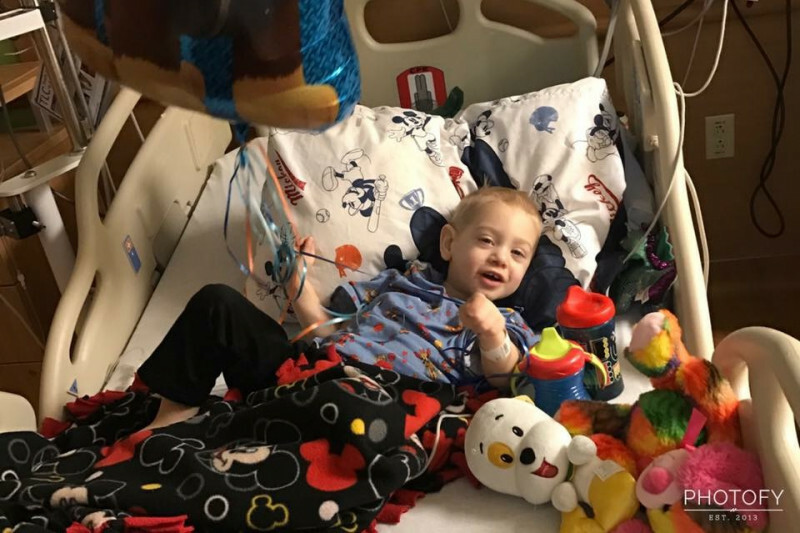 Adam Brey, our 2 1/2 year old nephew, was just diagnosed with Acute Myeloid Leukemia (AML) on February 3rd, and is currently being treated at Children's Hospital in Milwaukee, WI. After a painfully long month of visits to multiple doctors looking for answers to Adam's illness, my sister Amanda and her husband Greg finally received the diagnosis of AML by the staff at Children's. He began his first round of chemo treatments on February 7th and the little superhero is still smiling, showing how unbelievably strong he is, and living life to the fullest every day! His first round of chemo will continue with an initial stay at Children's for one month, and if all goes well with good results, he will continue with that treatment schedule for six months. Through all this, Amanda and Greg, along with Adam's brothers Hayden, Trevor, Nathan and soon-to-be baby sister (Amanda is due with baby Lucy in a couple weeks!) have shown unbelievable strength and courage in making sure Adam wins this fight!! We ask you for any support you are willing to give to help Adam in his fight against Leukemia and assist the Brey family in their time of need. All funds will go toward Adam's medical expenses incurred during his hospital stay at Children's, as well as a donation to The Ronald McDonald House. I'd like to share another update on our nephew Adam's brave fight against Acute Myeloid Leukemia (AML). 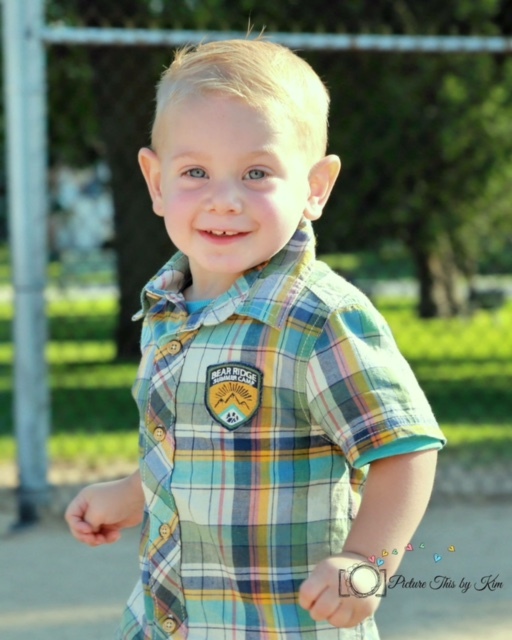 Throughout rounds two and three of his chemo treatment, AML has thrown every obstacle at Adam and he has faced every challenge with a sense of bravery that isn't seen in just any 2-year old. From steroid injections to help with nausea, multiple bouts of fever spiking, blood and platelet transfusions, and seeing his neutrophil (a type of white blood cell that fights against infection) counts rise and fall by the day, Adam has proven he truly is #strongerthansuperman. 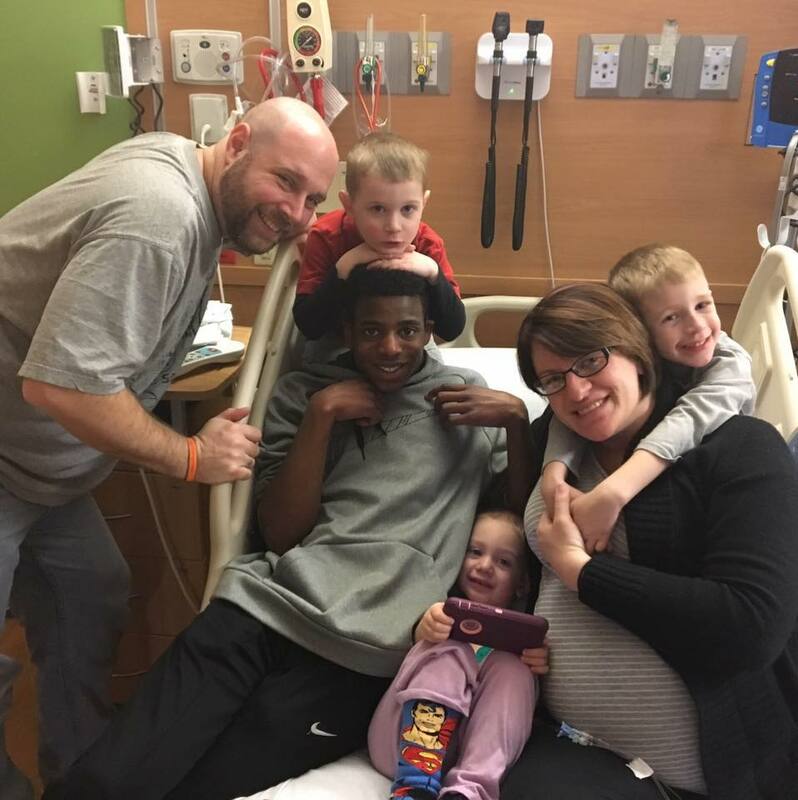 Now in the latter stage of round three, Adam recently experienced a stretch of great days at the hospital that brought much-needed smiles and laughter as he continues to fight this leukemia every day like a true champion. Not only has he been a hero to his entire family, but he has touched the lives of so many people throughout the U.S. and many countries throughout the world with his incredible story! The support and prayers from this group of people, known as Adam's Army, has been with Adam through every step of his journey (84 days and counting!) and helped provide a strong support network for Adam, as well as Greg and Amanda, Hayden, Trevor, Nathan and Lucy. As always, every little bit of help and support goes a long way for the Brey family. If you can't offer a donation, please keep Adam in your thoughts and prayers as he keeps fighting for the day of being cancer-free! 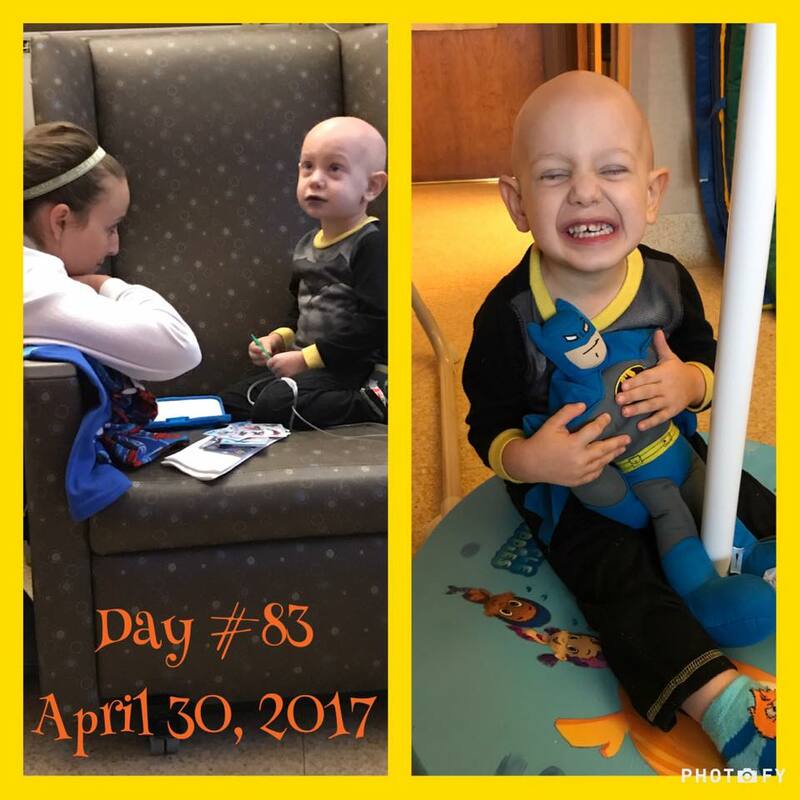 Three weeks ago, I shared with you all the story of our nephew Adam, a brave little superhero who was diagnosed with Leukemia on February 3rd. After six long weeks at Children's Hospital filled with ups and downs, he finished his first round of chemo and proved to be #strongerthansuperman every step of the way. Now in a waiting game for Adam's counts to go up, Amanda and Greg got word yesterday that his numbers aren't climbing and a second blood transfusion is now necessary. 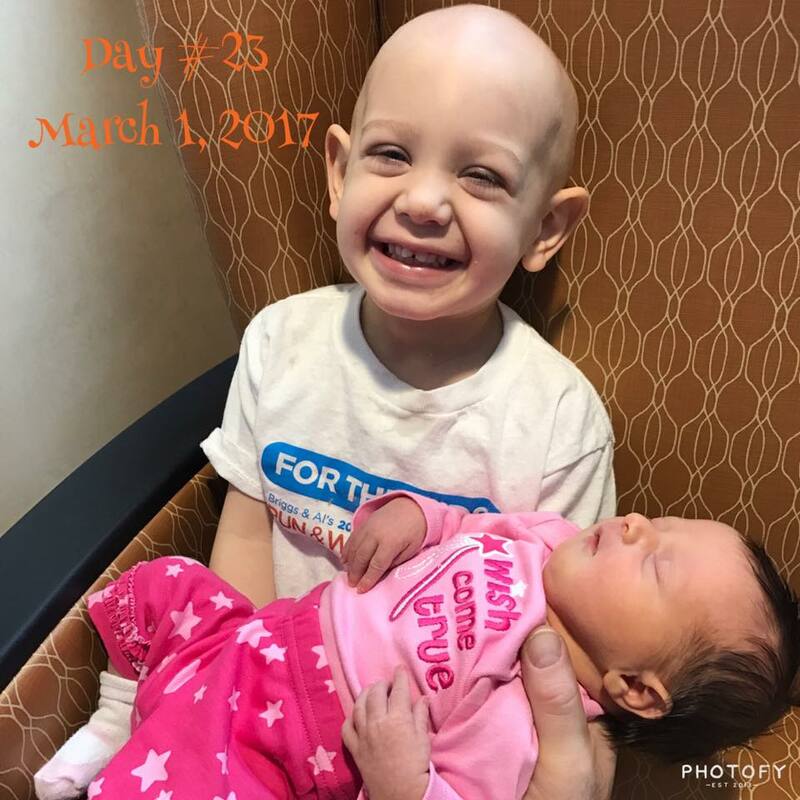 The highlight of Adam's fight so far has been the incredible addition of his new baby sister, Lucy, to the Brey family. Amanda was on schedule for a very routine delivery when the docs informed her it would be anything but routine, as she was rushed into surgery for an emergency c-section. Minutes later, Lucy was born and has lit up Adam's life ever since. 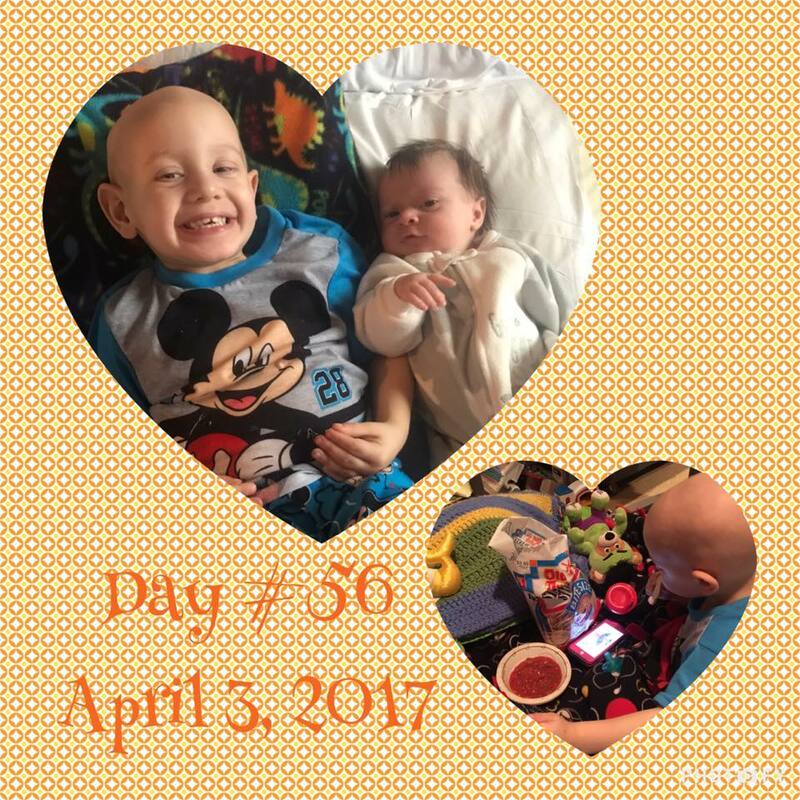 Through all the challenges faced, Adam has continued to smile, laugh, play, and love on his baby sister as if nothing at all was wrong. He has shown strength beyond words every day of his difficult journey and has been a true inspiration to us all. Now, with Adam's continued treatment, a baby girl to care for, and multiple restrictions put on Amanda due to the emergency surgery, the Brey's are trying their very best to find a new "normal" as every new day comes. Every little bit counts, but if a donation is not possible, Amanda and Greg ask that you please keep Adam in your thoughts and prayers as he continues his fight against Leukemia. I pray that you get better soon Adam! You're incredibly strong and brave. God bless. Adam, my thoughts and prayers are with you and your loved ones!